Exceptional views and sea breezes is what you will get when staying at a Super Ocean View Room! Offers panoramic views of the pacific ocean, that adds up comfort on top of the room’s spacious size. We’ll get you to and from your holiday with no troubles—all you need to do is pack your bag and make your way to the airport! Enjoy return economy flights with 7kg carry-on baggage included in the price! Need more baggage space? Just ask our Holiday Experts how! Start your mornings the right way, with a stomach full of sumptuous breakfast foods! The talented chef’s at Relish Grill & Bar put on a fantastic array of choices, so fill up a plate, pour yourself a cup, and fuel up for the day ahead. Holidays end way too soon. Forget rushing around, trying to get everything packed. Have a lazy breakfast, take a dip in the pool, walk along the beach and more. You’ve got until 12pm so make the most of it. Nothing says holidays like a nice bottle of wine! Sip and slip into the holiday spirit with a glass (or two!) on us. We know how much Aussies love a cold drink. 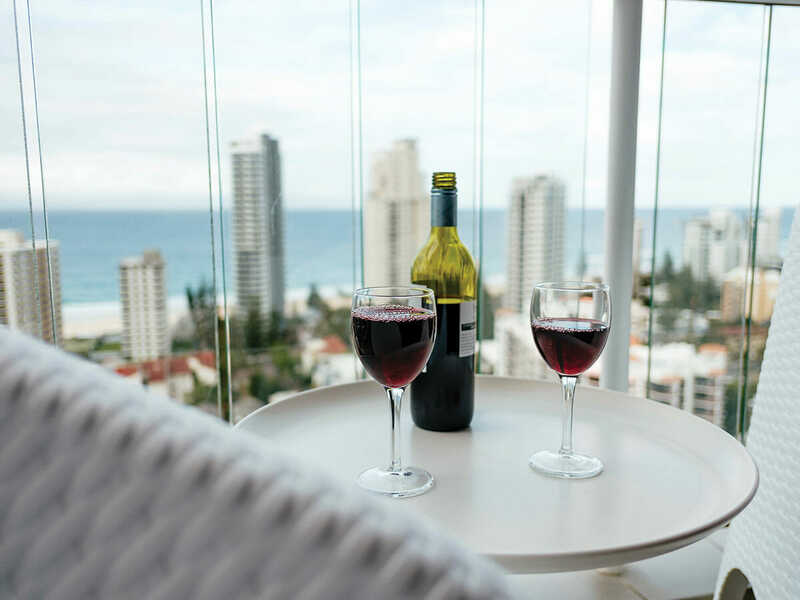 Head over to the lobby bar and enjoy a glass of the house wine or a beer or soft drink for two on one day when you stay at Crowne Plaza Surfers Paradise this holiday. Pack your bags, because there’s never been a better time to visit one of Australia’s favourite stretches of coastline! 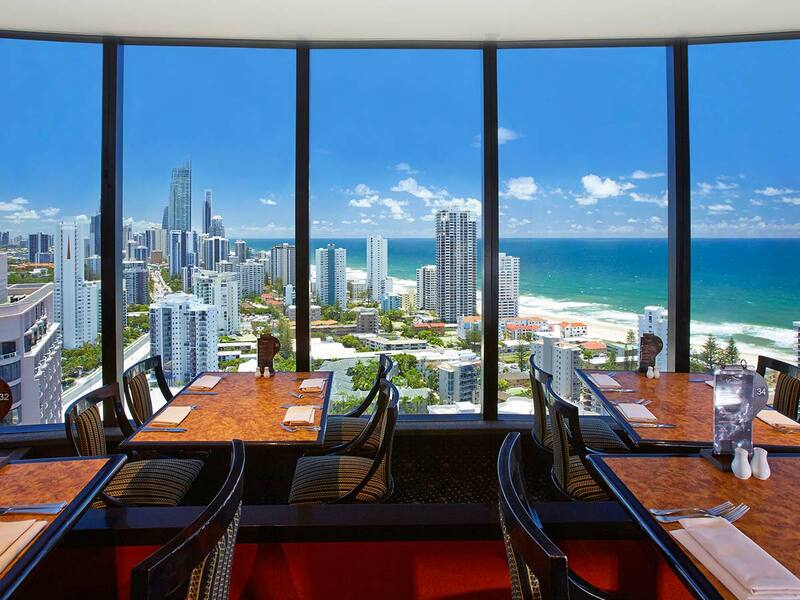 Crowne Plaza Surfers Paradise is in prime position, sitting pretty between all the pizazz of Surfers Paradise and the beachy-cool vibes and top-quality shopping and dining of Broadbeach. Stay at the heart of the Gold Coast surrounded by lush tropical gardens, only 500 metres short of sinking your toes into warm golden sand. Get ready for exceptional beaches with great vibes and azure waves, trendy restaurants and shops, and a scene that comes alive at night, when the shimmering lights of the city skyline reflect back from the ocean. 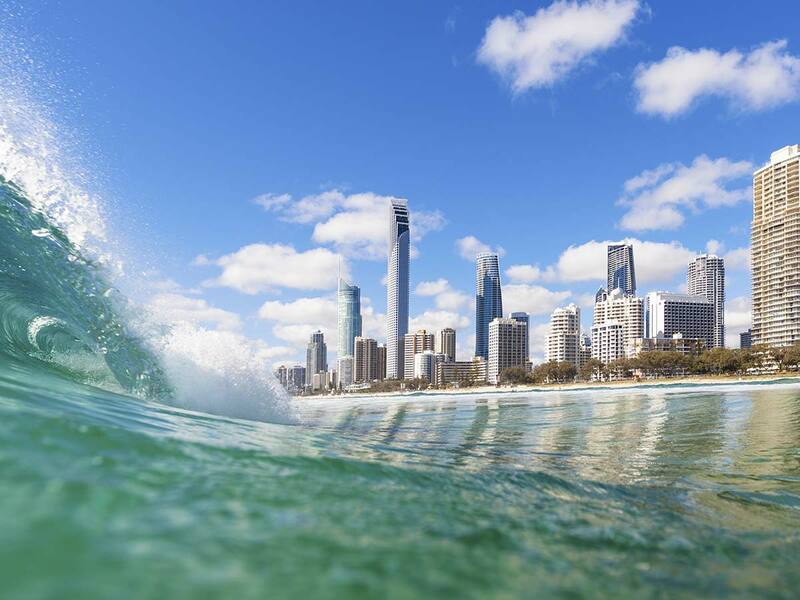 Whatever your holiday style, embrace the sparkling Surfer’s Paradise lifestyle with a healthy dose of vitamin Sea and you’re sure to make some memories! 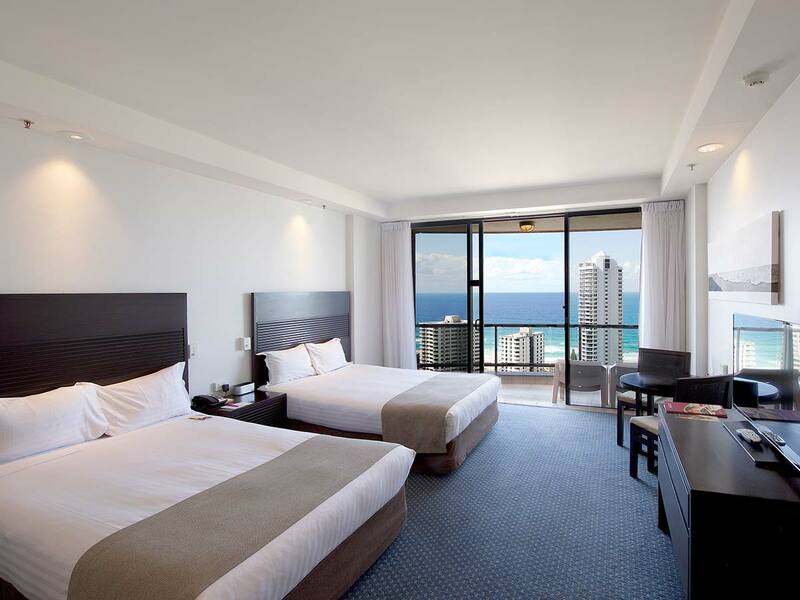 Each of the 370 spacious rooms at Crowne Plaza Surfer’s Paradise has been designed to exceed all expectations when it comes to comfort and style. Think sparkling views and sneaky ocean breezes from the private balcony, contemporary styling with fresh, clean lines and spaces perfect to unwind in, whether you’re on a business trip, a romantic escape, or a getaway with friends or family. The two outdoor pools both have sundecks with food and beverage service for lazy endless summer days, and Touch Therapy Day Spa is perfect for easing out any last knots of tension and turning everyday stress to holiday-mode bliss. Guests have complimentary use of the well-equipped fitness centre, and there’s even a tennis court for those who still have energy to burn! 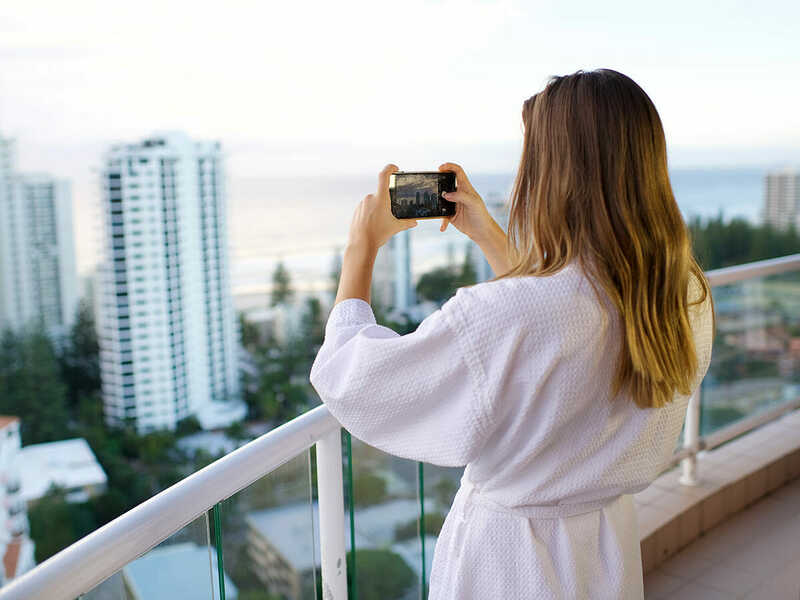 It’s choose your own adventure with infinite options when you stay at Crowne Plaza Surfer’s Paradise! 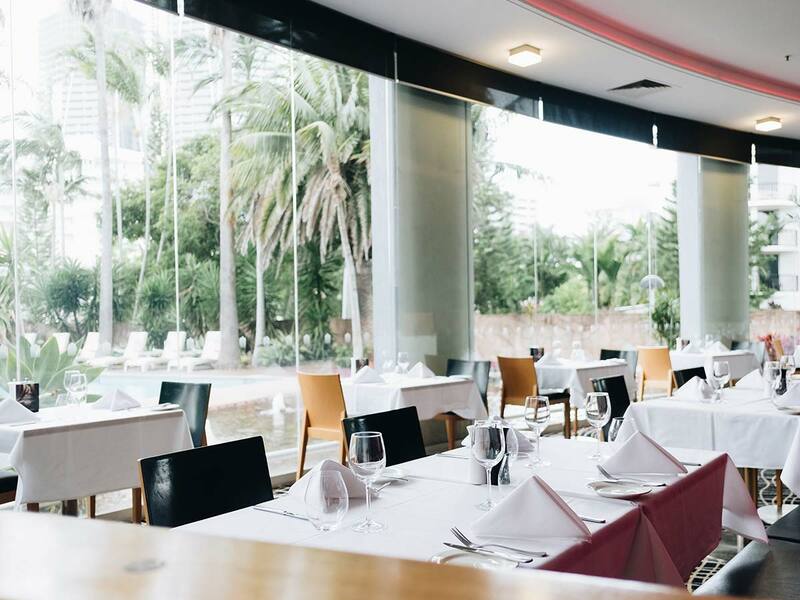 You’re only a short stroll away from popular beaches, shops, and cafes but you’re also directly underneath Queensland’s only revolving rooftop restaurant! Dine in jaw-dropping style at Four Winds 360˚ with a front row seat to breathtaking views over the coast, ocean, and picturesque hinterland. Or try one of the other 5 in-house restaurants, from a private degustation menu perfectly paired with wine and champagne at Balthazar, to a Cantonese culinary journey at SIFU. 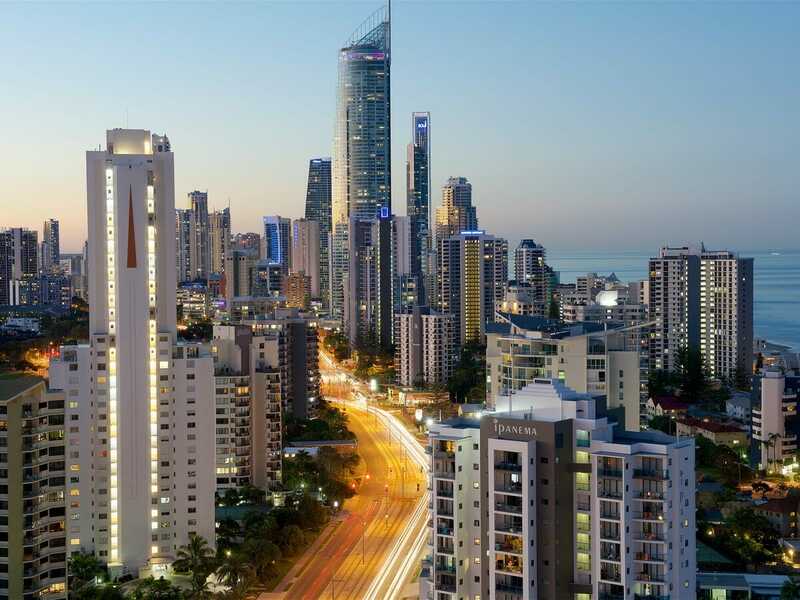 Other attractions are only a short drive away, so for thrills at The Star, retail therapy at Cavill Ave, or must-see views at the SkyPoint Observation Deck you’re perfectly placed.  9 Months interest-free available from $30.72 per week for two people ex Sydney. Kids Stay Free when using existing bedding.